The name of our property is "The Anglers Hideaway", and for good reason. The setting is very secluded and is located on the Hiwassee River in Tennessee. The Hiwassee is a nationally known river for trout fishing. This river is also fun for rafters and kayakers alike. With the Cherokee National Forest out the back door one could hike or mountain bike all day and then some. When at the cabin one feels as though they are away from it all. There's a babbling brook running through the front yard that's great to sleep to at night. Rocking chairs on the front and side porch make for a great spot to read a book or hang out with friends. A big yard for kids, and even a covered bridge leading to the property to add to the scenery. Purchased and managed by two college room mates, and fishing buddies, the inside is kept just as if it were their personal home in the mountains. You will certainly find all the amenities needed to just relax and enjoy a few days in the woods. After all it is our goal to make you comfortable and to see you back again some day soon to the "Anglers Hideaway". This is Rusty, co-owner of the Anglers Hideaway. He's one of the best fly fishermen in the southeast. This picture was taken in New Mexico on the San Juan River. Rusty has fished many rivers for trout across america but calls the Hiwassee River his home water. 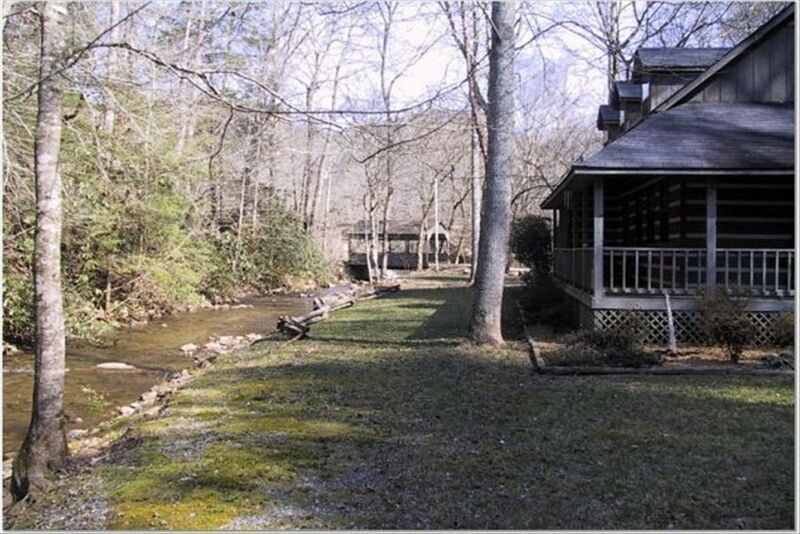 We chose to purchase this property because it is located on our favorite trout fishing stream close to home. I live in Atlanta and Rusty is in Birmingham. This property is within a couple hours drive for both of us. When we are not enjoying our property we want others to do so. Our cabin looks and feels more like a home in the woods as opposed to other rental properties in the area that look and feel like a rental property. You'll find all the amenities you will need while staying away from home. We tell folks who rent the place; "just bring your food and fishing equipment, everything else is there". We are located on the river so once you're there you don't have to leave to fish, raft, or hike. It's a real break from reality and located only hours away from Atlanta, Birmingham, Knoxville, Nashville, Charlotte, and other surrounding areas.